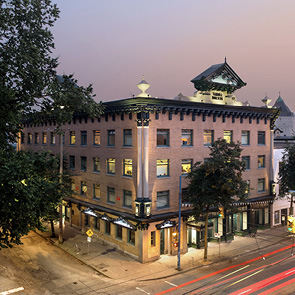 The Rice Block (Thistle Rooms) at 404 Hawks Avenue, originally built in 1912, was constructed as a typical Edwardian mixed use rooming house, typical of a number of such structures constructed on East Hastings Street just prior to the economic bust of 1913. 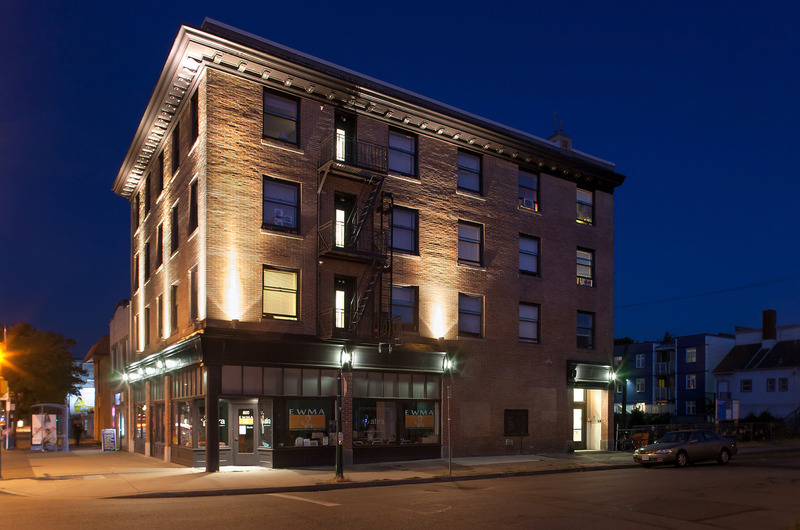 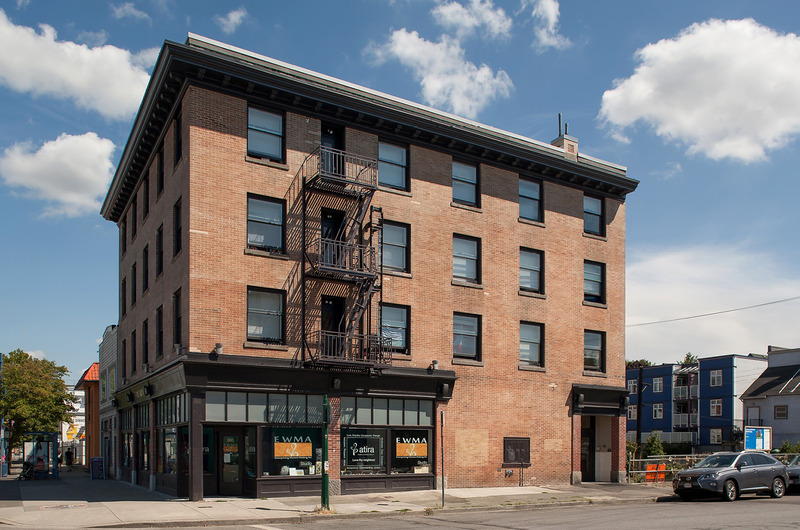 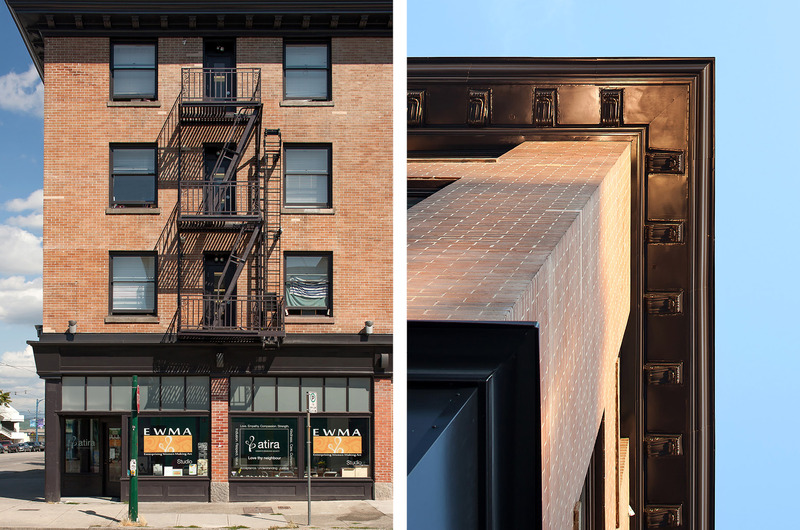 The building’s pronounced cubic massing was originally relieved by an attractive projecting sheet metal cornice, and an articulated storefront complete with its own sheet metal cornice and panels below the storefront windows. 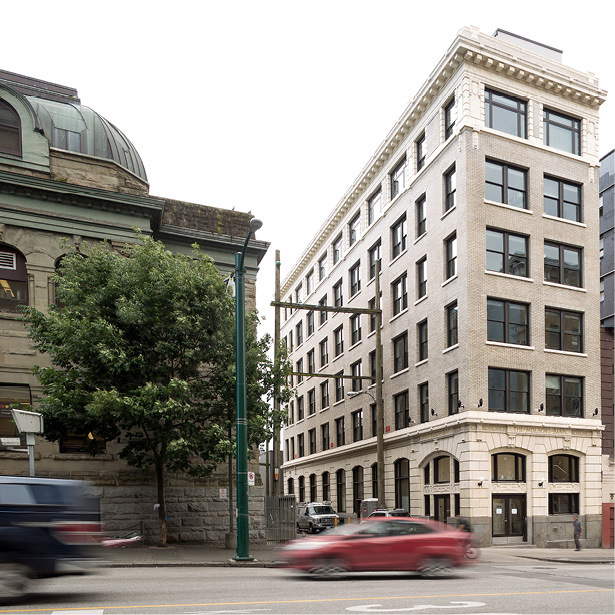 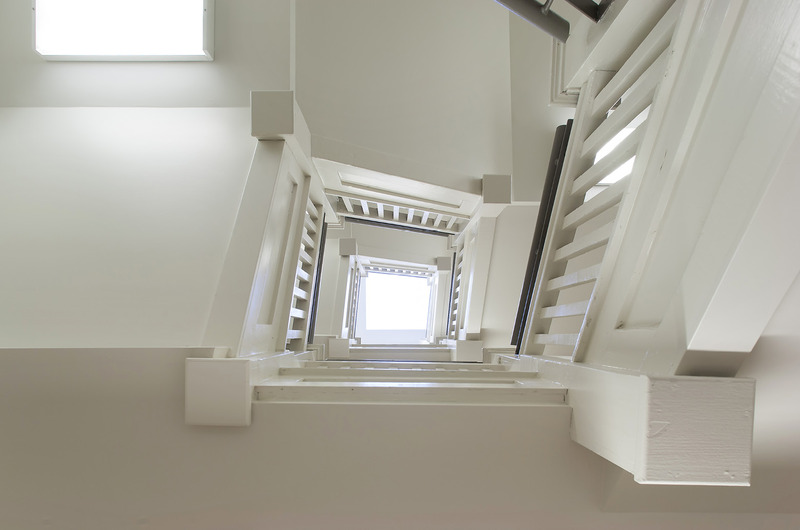 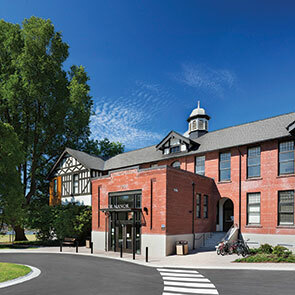 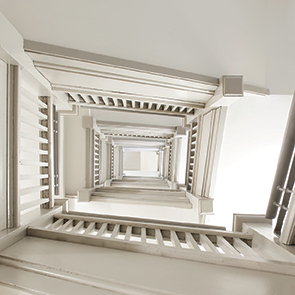 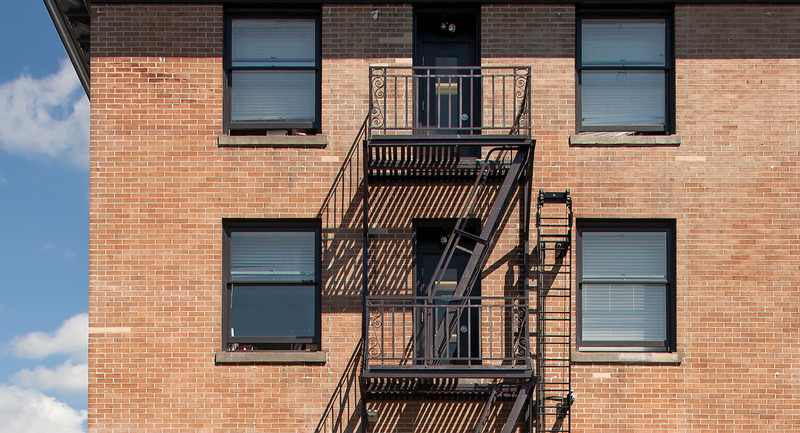 The building is operated by Atira – Womens Resource Society and is a women-only pre-and post-stabilization housing program for women who are seeking support to reduce and or stop their problematic use of substances. 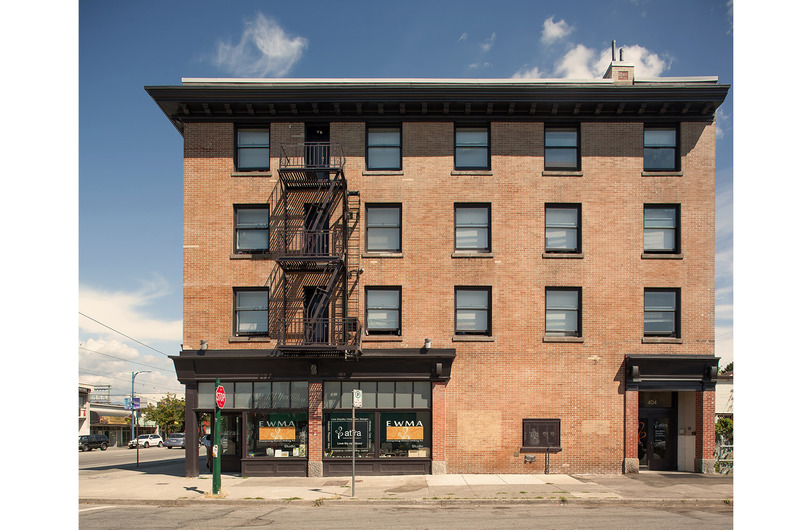 The Rice Block has been fully restored and rehabilitated to provide 38 residential suites on the upper floor levels and 2 CRU spaces at the ground level for retail opportunities.